Firewood of Wellesley, Mass., is recalling about 400 Firewood 4 vaporizers. An electrical short can occur in the vaporizer, posing a fire hazard. This recall involves all Firewood 4 vaporizers. The vaporizers measure 2 inches wide by 3 1/2 inches tall by 7/8 inches thick and have a sliding battery compartment cover. 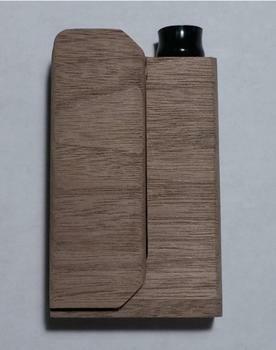 The body and battery cover of the vaporizers are wooden and were sold finished or unfinished. The Firewood logo is printed on the bottom of the vaporizers. The vaporizers, manufactured in the U.S., were sold exclusively at Firewoodvapes.com from October 2016, through June 2017, for between $135 and $185. Consumers should immediately stop using the recalled vaporizers and contact Firewood to receive a free repair. All known purchasers are being contacted directly by the firm. Consumers may contact Firewood at 781-738-3838 (collect call) from 9 a.m. to 5 p.m. (ET) Monday through Friday, by email at recall@firewoodvapes.com, or online at www.firewoodvapes.com and click on “Safety Recall” for more information.